Sucker Punch’s next game will not be inFamous or Sly, the series that made them so popular to begin with, but rather, Ghost of Tsushima. 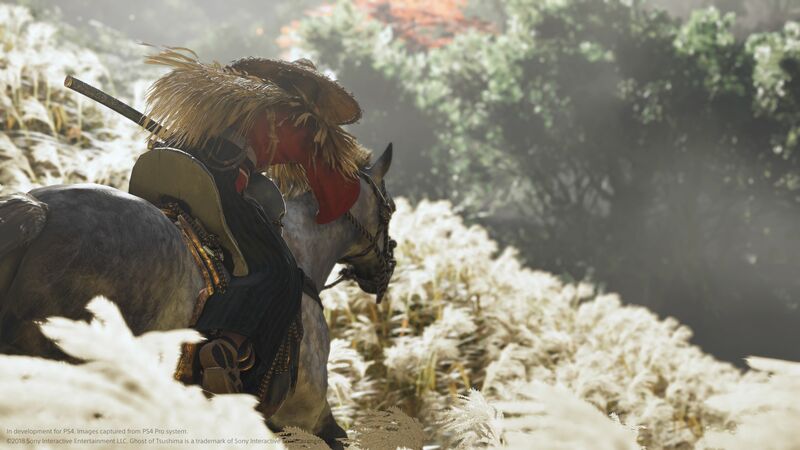 Ghost of Tsushima is an action adventure game set in Feudal Japan- and when its gameplay was unveiled on Sony’s E3 stage last month, the one thing that stood out more than anything was its gorgeous open world, a lush realization, seemingly, of the historical setting it seeks to emulate. That world is apparently an important point of focus for Sucker Punch during the game’s development. Speaking to GamesTM magazine (issue 202), Art Director Jason Connel talked about how the team at Sucker Punch is categorically trying to make a living world- and not just in the buzzword sense, but in the sense where the whole world seems to move around the player. “Having everything move, if it can move make it move, was a very ambitious goal for us from the very beginning. and we’re achieving it! you walk around the game world and you’ll be like ‘Oh my god, everything around me is moving!’” Connel said. That is something we saw in the gameplay footage last month- the reeds swayed in the wind, the clouds moved across the sky, casting shadows, and the whole world around the player seemed to be idyllic, but more importantly, alive. Hopefully, the same amount of care went into every aspect of the game, too. Ghost of Tsushima will be out exclusively for the PS4 at an unspecified date in the future.